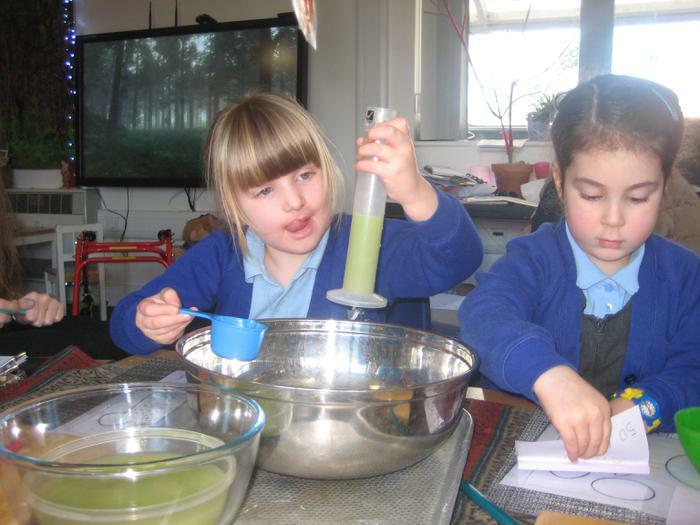 One of our stories this term is Hansel and Gretel and we are doing lots of lovely and exciting science investigations. 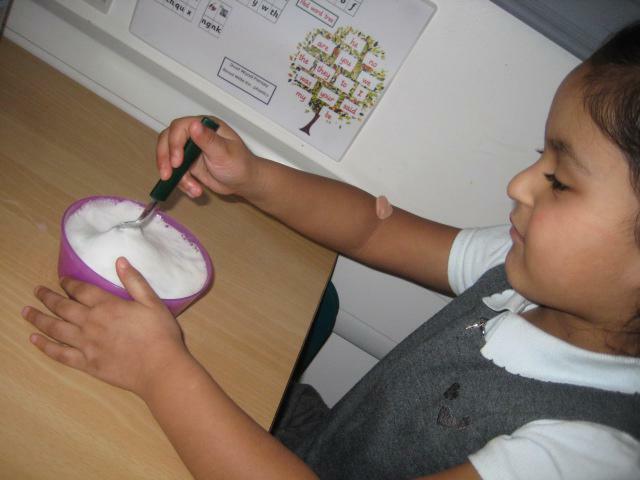 Our first science investigation was to create the witches potion and see what would cause a reaction with the bicarbonate of soda. 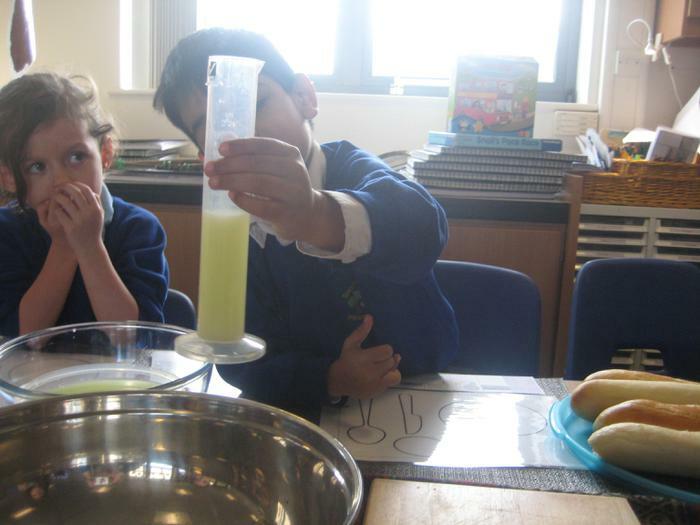 We had lots of different liquid ingredients and we predicted which ingredient would cause a reaction. 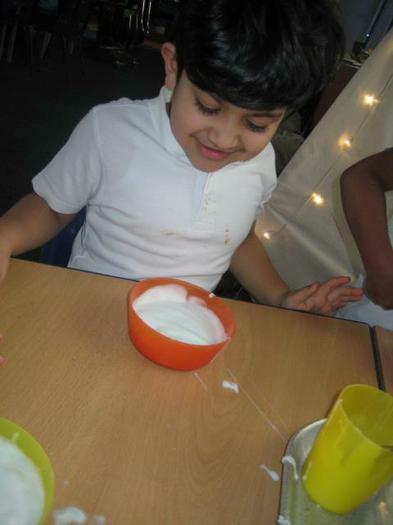 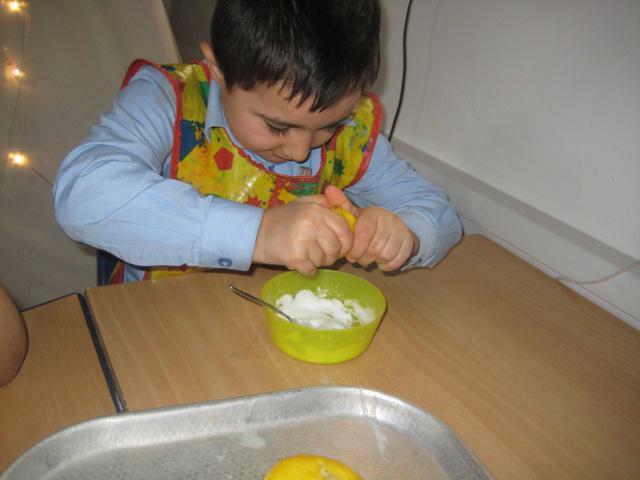 Our different liquid ingredients were: soap, lemonade, vinegar, shaving foam and lemon juice. 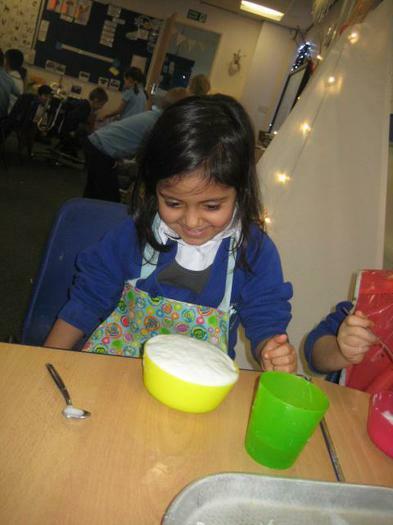 We then experimented with the different ingredients and found that the vinegar and lemon juice made the powder fizz and therefore caused a reaction. 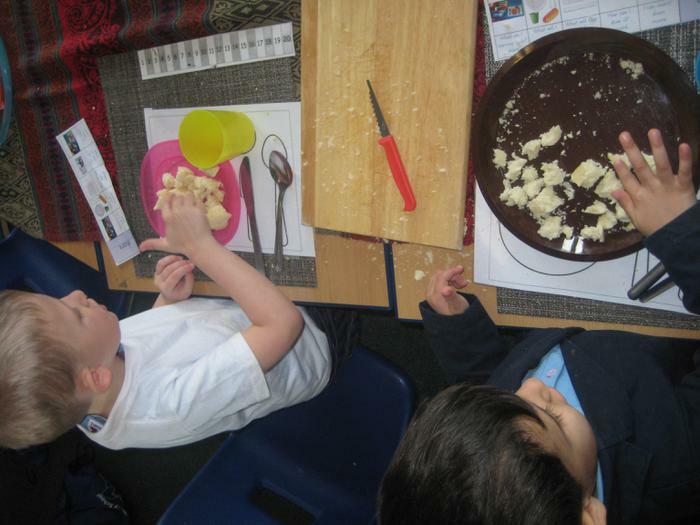 We then described and drew what we could see. 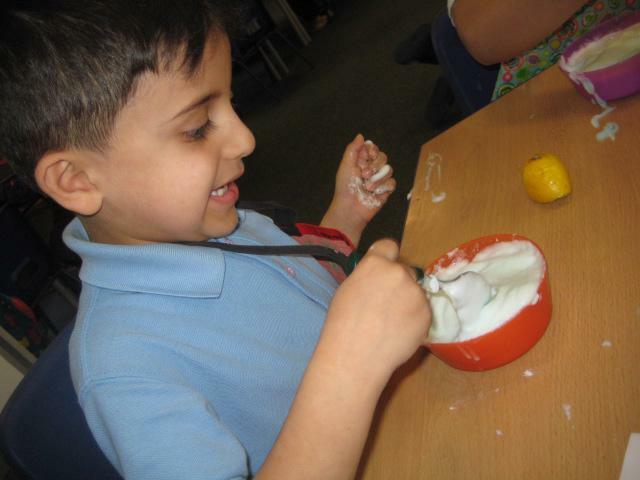 "It is making a popping noise", "It's getting bubbly!" 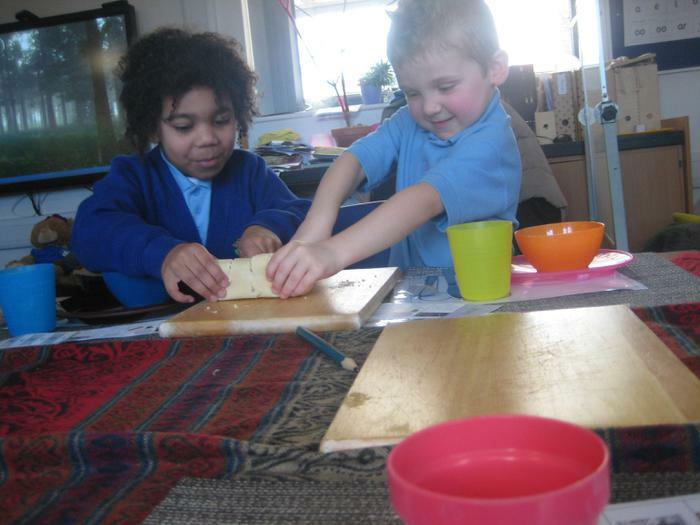 The children were faced with the provocation of a tea party in the witches’ cottage. 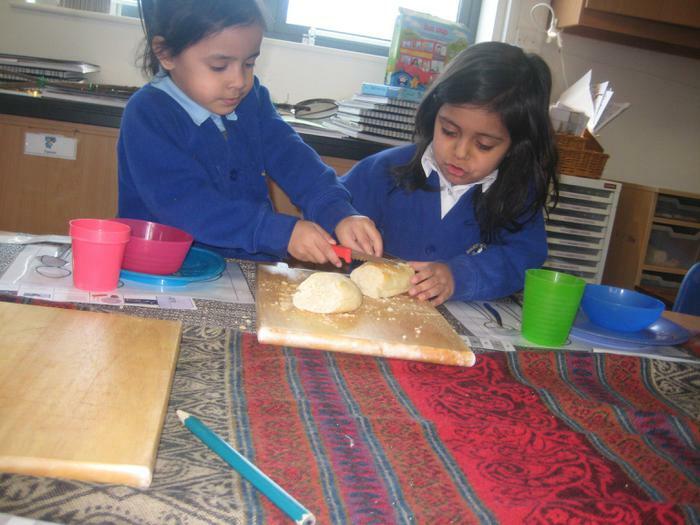 They had to share the food out evenly between all of the guests, slice the bread in half so everyone gets the same sized piece, measuring out the correct ml of witches brew for each guest and setting enough places out for additional guests at the table.